Some CRISPR-Cas9-based therapeutic uses have been reported—including a controversial editing out of a receptor gene that enables HIV to enter cells in the embryos of two babies reportedly born in China. 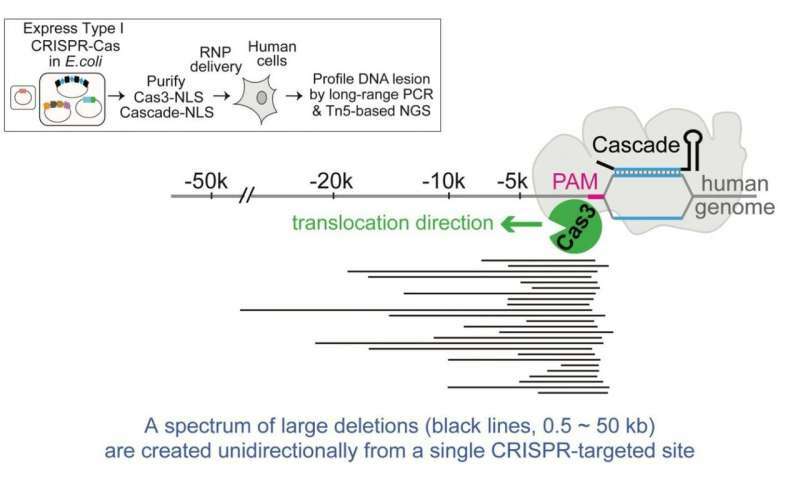 But worries about CRISPR-Cas9 making unintended edits in normal areas of human patients' DNA have also surfaced. Further work will be needed to see if the "shredder" approach avoids this issue. If So, Combine First half of DNA of 1 Microbe with Second half of another Suitable Microbe !